Have you ever dreamed of diving into pure turquoise blue water from your private over water bungalow? Could you imagine getting lost on a secluded island with crystal clear water gently lapping against you as you lay back into pure white sand? Travel to the opposite end of the earth to the most exclusive and spectacular tropical island paradise in the world, with no exceptions: The Maldives. As a TV Travel Host, Director, and Executive Producer, I have had the opportunity of a lifetime to travel the world spending over 120 days per year in 5 to 7 star luxury resorts, the destination I keep going back to is the Maldives. There is absolutely no comparable luxury destination as perfect, pure and enjoyable in every way as these all-inclusive resorts in the middle of the Indian Ocean. Nestled east of Africa and southwest of Sri Lanka, this untouched paradise is spectacular beyond words. One of the few destinations on the planet with overwater bungalows at nearly every luxury resort. With over 1200 islands, only 200 are inhabited with the majority occupied by ultra luxury resorts. The Maldives created the “one island, one resort” concept that consists of each island as a resort in-and-of itself, self-sufficient and independent of local municipalities. Due to this unique design, the resorts are by far the cleanest, eco friendly and most astonishing in the world, where every detail is taken care of to absolute perfection. The purity of the sand is unrivaled as the resorts comb the beaches daily to perfection. Many coral reefs are still alive and bustling with sharks, sea turtles, octopus and thousands of exotic fish for world class diving and snorkeling. If you are ready for this adventure of a lifetime, there are luxury accommodations at all levels of pricing in the Maldives, even for the young honeymooner. Emirates is by far the most luxurious and best priced flight at around $1200 round trip from Los Angeles. Once you arrive at the capitol city island of Male, jump on a sea plane to get to your desired resort island destination. Once you land at your Maldivian resort, there is no going back to what you may have thought was luxury. Your stay is all-inclusive with delectable food, unlimited tropical drinks, and 24 hour service fit for a sultan. The Maldivian people are so kind and sweet, they make it their mission to make your stay pure bliss. I experienced the “7 Star Resort” of Hurawalhi at $1800 per night with the largest underwater restaurant in the world, 16 feet under the surface of the water. Kuredu at $550 per night is a quick jet ski trip away, and was the island that made me fall in love with the Maldives. With so much to do on this remote paradise, I always felt energized and entertained from snorkeling all day, to walking through bioluminescent waters at night. Conrad Maldives at $1480 per night has the most sensational food I have ever experienced, with their French Chefs and all-inclusive multi-course feasts. I had the opportunity to experience practically every water sport imaginable in Paradise Island Resort & Spa at $1,000 per night with jet-blading, parasailing, wakeboarding, stand up paddle boarding and even kite boarding. Mirihi Island at $1400 per night was so exclusive it has only 38 private overwater bungalows that make up the resort. I even spent the night on a 110 foot yacht as I chased whale sharks and dolphins during the day, and stargazed at night. Ayada at $1500 per night was breathtaking with every visual detail designed to perfection, with 5 star luxury as an understatement. The newest Island opening this winter is Kudadoo that is so exclusive it has only 15 ultra luxury residences equipped with overwater bungalows for the servants of the sheiks, sultans, celebrities and billionaires that stay there. My beautiful wife, Khaliana, and I first fell in love with the Maldives by venturing to Kuredu Island on our honeymoon. Stay at the Sangu Water Villas to enjoy ultra luxury with an all-inclusive experience at reasonable prices. 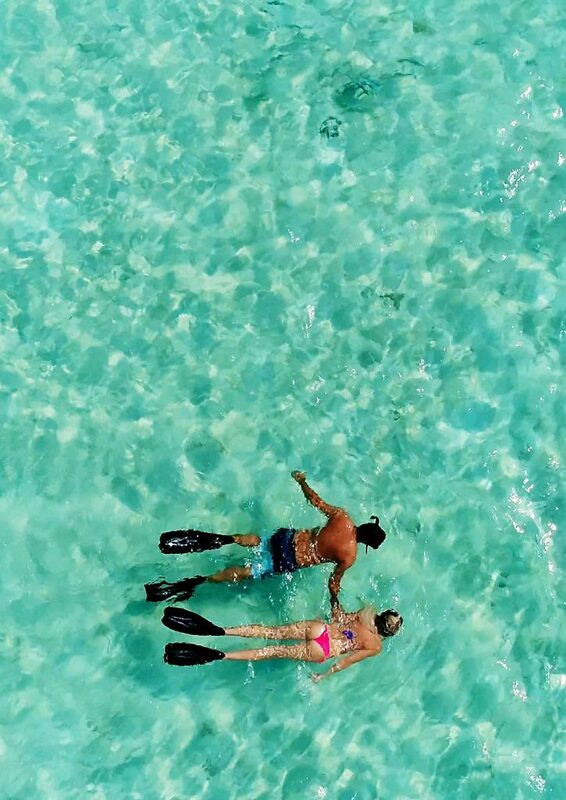 Perfect for the couple getaway, diving and snorkeling adventures and beach relaxation is without comparison. If you’re not able to experience the Maldives for yourself, you can watch sizzles of our TV travel shows at www.Atreyu.tv. Travel with me to the most exclusive and spectacular destinations around the world and see the Maldives from the land, air and underwater. One thing is for is certain, you will have to add this tropical paradise to the top of your bucket list!